Is your house in disarray? Make use of these five DIY organization hacks to clean up your living space! 1. 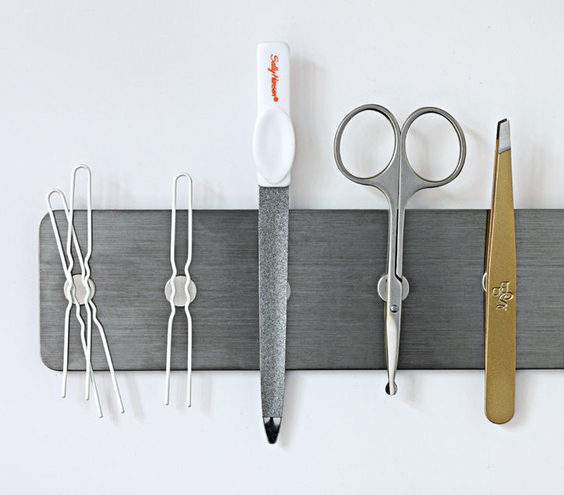 Use magnets to organize your medicine cabinet. Place a small series of magnets on the inside of your medicine cabinet. This will help you keep your supplies in order. This way, you won’t stab your fingers with tweezers every time you’re looking for the nail clippers. For a super tight hold, try Super Strong Neodymium Disc Craft Magnets. When you see chaos, you feel chaotic. Wires all over the place, crossing and getting tangled, are no help. 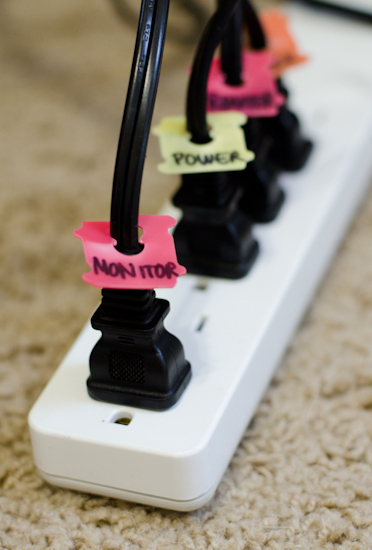 If you need to use several appliances at once, label their wires with different colored bread tags. This is also an excuse to buy a lot of bread (#boodieting). 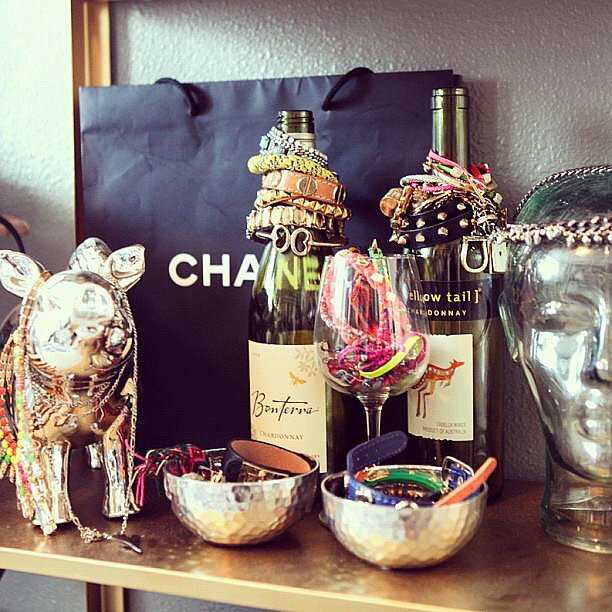 Stack bracelets on bracelets with your empty wine bottles. I always say they’re so pretty that I want to keep them, but what use did I have for empty bottles? Well, my time has come. They’ll also look super chic on your dresser. This Instagram photo really says it all. A small investment in several small sets of drawers will keep your space looking clean. You can store your belongings in a more organized fashion. Label drawers with brightly colored stickers for an even livelier decoration. 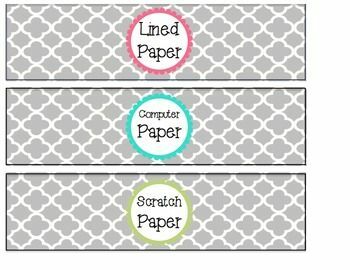 Check out crafting pro Arabiye Artola’s innovative hack for keeping her pictures visible and organized in her room. 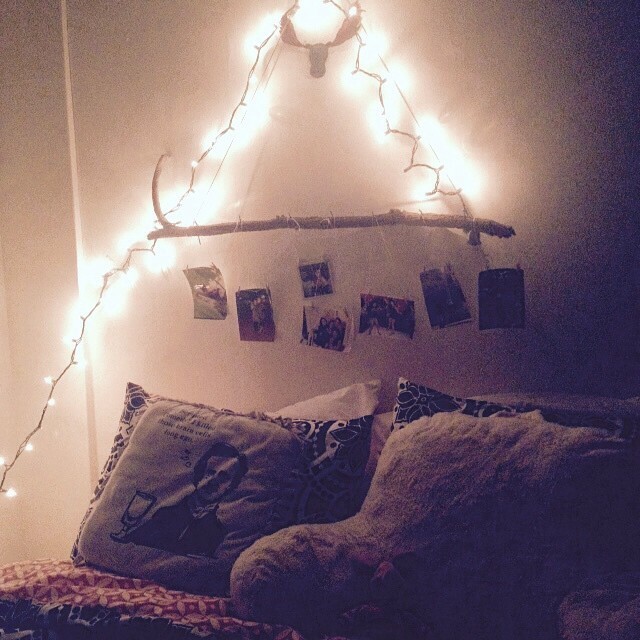 Using string and miniature clothespins, pictures are attached to a long branch for a rustic, Pinterest-inspired look. Follow Arabiye’s crafting work here!